Justin Sun who is a protege of Alibaba founder Jack Ma has started a $100m Blockchain gaming fund through his company Tron. Tron has been making a push for decentralized entertainment and this is the next major step in their roadmap. Recently Tron acquired Bittorent and this fund is a continuation of Tron trying to create value for their token (TRX) through entertainment. According to Tron the goal of breaking into gaming is for "immutability, security, the ability to activate decentralization and create more room for imagination in the gaming industry." The fund offers distribution, funding, advisory, and partnership opportunities as well as minimum guarantees. BitMovio (www.bitmov.io) today announced the close of a $600K pre-seed round of equity funding with participation from Silicon Valley-based IMO Ventures, Basis Set Ventures, and BlockCentury, and Boston-based NorthBay Solutions, the Play Labs Fund, and Seraph Investments. Dodgers to hold first-ever Digital Bobblehead Night on Sept. 21 with a Lucid Sight crypto giveaway. The Los Angeles Dodgers will hold their first-ever Digital Bobblehead Night on Sept. 21 (7:10 p.m. vs San Diego Padres), where fans will have the opportunity to download a Clayton Kershaw, Justin Turner or Kenley Jansen Crypto token, the team announced today. The promotion is the first of its kind in Major League Baseball, and believed to be the first Crypto giveaway in sports. While supplies last at guest's point of entry, the first 40,000 ticketed fans in attendance will receive a card with a unique code and directions to a website where a digital bobblehead can be unlocked and added to their Ethereum wallet. The player Crypto token received will be randomly selected, with approximately an equal number of Kershaw, Turner and Jansen codes distributed at the stadium gates. "We're excited for our first-ever Crypto giveaway, and to explore an entirely new marketplace with our fanbase," said Lon Rosen, Dodger Executive Vice President and Chief Marketing Officer. "We hope this piques the interest of Dodger fans, and will help launch a new age of digital collectibles and promotions." In MLB Crypto Baseball, Ether will be exchanged for Blockchain-secured MLB Cryptos, such as interactive avatar figures and digital collectibles commemorating special moments, featuring official marks from MLB and all 30 MLB Clubs. The Ethereum blockchain secures each MLB Crypto as an immutable asset and ensures that it has a single owner, creating the same rarity as any traditional physical collectible. Once the initial run sells out the only way to acquire new MLB Cryptos will be from other users on the MLB Crypto Marketplace. In a recent interview with Yahoo Technology Kenny Gersh, MLB’s executive VP of gaming and new business ventures, said that MLB has been eyeing cryptocurrency for a long time, and rejected other ideas before settling on doing a game with Lucid Sight. Lucid Sight is a game studio comprised of team members with AAA game experience developing independent games as well as those based on popular brands such as Tomb Raider, Barbie, and Justice League VR. Lucid Sight also has proven blockchain game experience with its recent successful pre-sale launch of the highly anticipated CSC - Crypto Space Commander. Lucid Sight’s licensing deal with MLB will bring to market the first blockchain game based on a global sports league. MLB Crypto Baseball will be a seachange, combining blockchain technology, mobile games and live sports to provide unforgettable experiences and unique engagement opportunities as well as enhancing the ways sports fans collect limited edition memorabilia. The game will be an Ethereum dApp built in the Unity 3D cross-platform game engine. The Sacramento Kings announced a new charitable program – MiningForGood – made possible by the advanced data center and tech infrastructure at Golden 1 Center, the world’s most technologically advanced and sustainable arena. Through a partnership with global cryptocurrency leader, MiningStore.com, the team will install cryptocurrency mining machines in the only Tier 4 data center in a professional sports arena. The Kings are the first team in the world to mine digital currency. The Kings were named the "most innovative company in sports" by Fast Companyand “Most Tech Savvy Team of 2016” by Sport Techie. Golden 1 Center – the home of the Sacramento Kings, was the first arena in the world awarded LEED Platinum status, is powered entirely by solar energy and is home to the most progressive food programs in sports reducing the team’s landfill footprint by sourcing locally, donating unserved food and returning organic waste to farms through an innovative fertilizing program. Unblockable has raised $5 million USD to bring blockchain technology to the sports and entertainment collectibles market. Now fans, who have long collected memorabilia from their favorite stars, athletes, leagues and teams, have an easy way to buy, sell and play games using Unblockable's unique, scarce, secure and valuable tokens. "We're excited about this new technology and look forward to working with Unblockable as they grow," said James Barry, Vice President, Talent Marketing, Wasserman. "They have a world class team of sports and blockchain experts that we know and trust." Founded by successful entrepreneurs and athletes: Jeb Terry, Greg Dean, Eben Smith and Kedric Van de Carr; Unblockable's advisory panel is led by NFL Hall of Famer, Ronnie Lott. Leveraging the full capabilities of blockchain technology, the unique, non-fungible Unblockable tokens will be based on individual athletes. Fans will be able to go beyond collecting and trading their individual tokens to enjoy experiences and play games never before possible, based on their favorite stars and teams. The sports segment of the world's $370 billion collectibles market in the U.S. represents a $5 billion opportunity. When factoring in the addition of new types of business and entertainment opportunities made possible by blockchain technologies, this represents a significant untapped opportunity for athletes, leagues and teams. Driving innovation is the digital collectible token known as ERC721, a non-fungible variation of the ERC20 token, which has been a significant driver for growth in 2017. What's more, with the average age of almost all professional sports fans going up, crypto collectibles represents a significant opportunity to reach a younger, more diverse fan base around the world. Athletes and leagues are always looking for ways to drive deeper engagement and create new business models while building new fan bases and the opportunity of crypto collectibles will give them a direct relationship with fans that goes beyond the season of play and their chosen sport. Jacob Mullins, a Partner at Shasta Ventures, led the investment and is joining Unblockable's Board of Directors, said, "Taking advantage of the unique characteristics of the emerging blockchain platform, Unblockable is defining a new category of fun, engaging and approachable experiences and games for consumers as well as new ways for stars, athletes and leagues to build new relationships with fans. We couldn't be more excited to be backing this team of deeply experienced entrepreneurs who has unparalleled access to the world of sports and entertainment." With scarce digital tokens and a marketplace to buy, trade, sell and play games, fans will have new ways to connect and interact with each other and their favorite players, teams, sports and stars. Later this year, the company will release the first Unblockable tokens bringing together for the first time the sports collectibles and the utility of unique digital assets. "Unblockable is pioneering an entirely new way for athletes and fans to buy, trade, sell and play games together using tokens and blockchain technology," said Adam Goldberg, Partner, Lightspeed Venture Partners. "Crypto collectibles are going to change the way athletes and fans connect and the Unblockable team is setting the bar for an entire new industry." Unblockable's leadership team is experienced in the business of sports and brings a rich successful history of using new technologies to bring new products and services to market. Jeb Terry is a former NFL player and Fox Sports executive; Greg Dean, a serial tech entrepreneur and co-founder multiple crypto projects; Eben Smith, a former derivatives trader; and Kedric Van de Carr, a veteran tech executive who has served in a variety of marketing and growth roles and co-founder of a crypto asset tracking social network. "We are leveraging blockchain to create new ways for sports fans to celebrate their fandom like never before," said Jeb Terry, CEO and co-founder of Unblockable. "The games and experiences we'll roll out over the coming weeks and months will revolutionize the fan - athlete relationship." Ubisoft partners with Cryptokitties as part of their growing interest in Blockchain Gaming. Blockchain offers new ways to explore relationships with gamers, interactions in-game, virtual asset ownership and exchanges, transaction security, and other opportunities created by crypto currency. Ubisoft is looking for innovative start-ups with a proven mastery of Blockchain technology and a clear vision of how Blockchain will influence the future of entertainment. Looks like the found it by partnering with CryptoKitties. 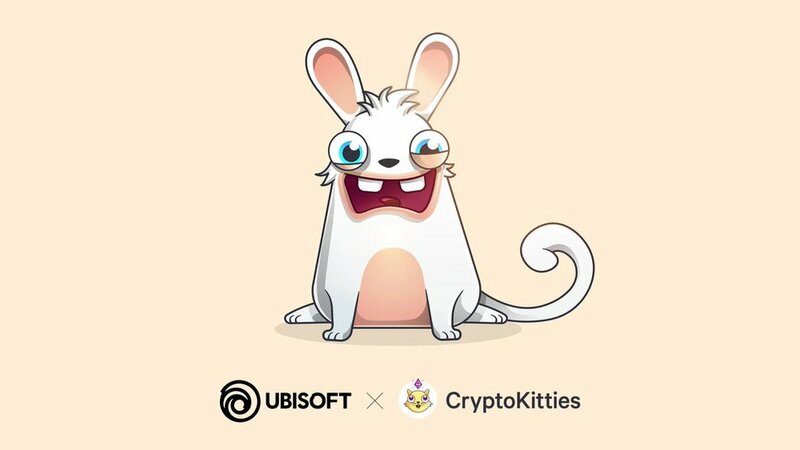 In support of innovations in blockchain development, CryptoKitties will award an exclusive RabbidsKitty to the winners of Ubisoft's Blockchain Heroes Hackathon. This is part of a bigger Crypto plan from Ubisoft. Lidwine Sauer, Director of Insights and Trends for the Strategic Innovation Lab at Ubisoft, spoke about Ubisoft’s interest in blockchain technology at February’s D.I.C.E. 2018 conference. “Creativity has become one of the most valued social currencies. Entertainment is not just something you consume, it’s something you create. It’s one of the use cases of the blockchain, and we want to go further than that. SportsCastr, announced FanChain, a cryptocurrency specifically created for the sports industry. 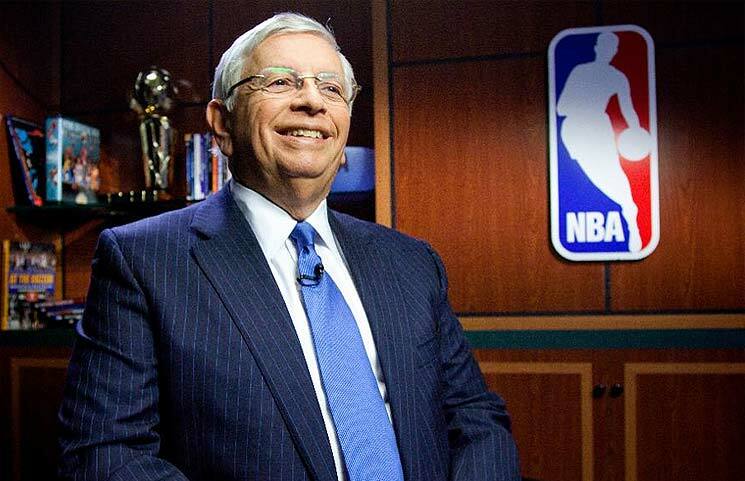 The Company is backed by NBA Commissioner Emeritus David Stern, NFL Tight End Vernon Davis, Syracuse Men’s Basketball Coach Jim Boeheim, NBA All-Star Steve Smith and more. SportsCastr’s FanChain will create a decentralized sports entertainment ecosystem to connect a fragmented landscape, aligning the interests of fans, athletes, teams, leagues, and media entities. Fans rely on social media for authentic reactions during sporting events, and market research shows that younger demographics prefer receiving commentary directly from other fans versus on traditional broadcasts. The cable broadcast market has experienced a massive shift as digital natives increasingly rely on YouTube, Facebook, Twitter, and Amazon to watch live sports. This shift toward digital-first distribution platforms allows for commentary from fans to be integrated directly into sports live streams through SportsCastr, opening the door for cryptocurrency-based incentives and solutions. Built specifically for the global sports market, the FanChain token has the ability to be “stamped” with metadata that associates it with teams, leagues or sporting events. This allows SportsCastr and other members of the FanChain ecosystem to reward fans for creating value for their favorite teams, and enables brands and organizations to target and reward their most passionate fans. Users will be able to exchange their tokens for rewards, prizes and access, including subscriptions to premium channels and content, digital goods, and sports memorabilia for the teams and leagues they follow. FanChain will be integrated first on the SportsCastr platform, allowing users to tip color commentators, pay for premium subscriptions, and access exclusive content. FanChain’s enterprise-grade SDK will allow its technology to be integrated with online publications, fantasy sports, social networks, sports teams, leagues, and stadiums. The FanChain token leverages a unique combination of fungible and non-fungible characteristics that enables team loyalty to be embedded within individual tokens, which can be produced and transmitted across multiple platforms. The FanChain token will be available in private presale beginning in June 2018, with a public sale tentatively planned for summer 2018.